Could any docs please evaluate donor area? Could any of the docs here please tell me if my donor area is great/good/ poor for getting a transplant, and what my density/characteristics are. Thanks. 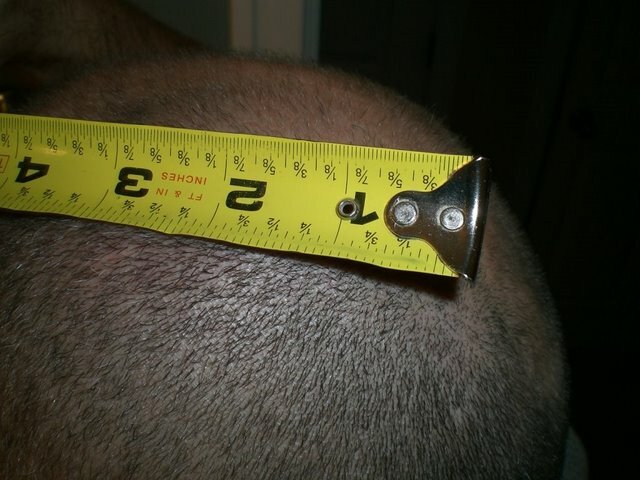 Here is a shot of the entire back of my head, hopefully showing available grafts. I was not going to reply in public, as I said on another forum on a pm, but felt almost obliged to do so with the deafening silence and so I think if any other has something to add it can only help to Transporter’s research. Firstly the pictures close up, it is hard to give a realistic assessment of your donor, density wise in the pictures that can mean nothing; you may have a high degree of miniaturisation in the donor which is not visible always to the eye, unless magnified. Your density could still be high but the % of miniaturisation could be 30% and this makes for a poor donor then. 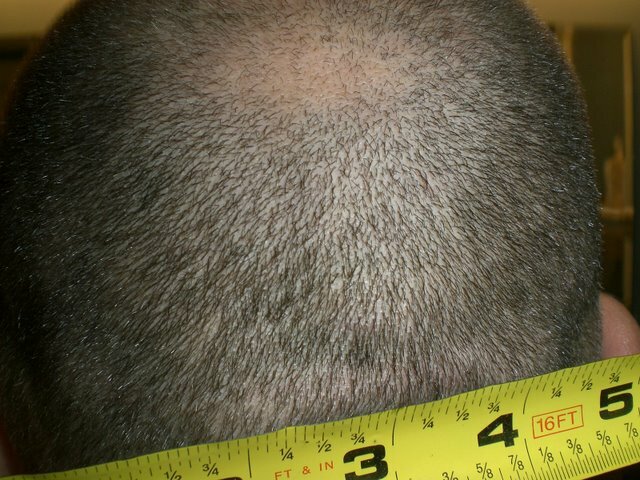 There is also the issue of the back/side pictures, the sides appear high still but with a tendency to drop and above your ear also seems to have well below density; your nape seems to have receded quite high, almost until the occipital bone, in a strip case this is the area the strip would be taken and so would potentially be visible. In FUE the progressiveness of your NW pattern reduces the safe zone surface area that can be harvested, and the smaller the zone the less FU can be removed. Combined with the possibility of miniaturisation greatly restricts the harvesting pattern. For example; if say your density is 80 FU per cm2, higher than average, your head diameter allows for a surface of 30 cm around to harvest and say 4 cm high, this potentially would give us a total FU in the area of 9600. But then we have to deduct the miniaturisation (can be seen during a density check under magnification easily) say 20%, so the total number has now gone down to 7680. THEN, we calculate how much we can take per cm2 and not leave the donor looking moth eaten or with “hair less” areas, also not taking everything and leaving a little for a rainy day. 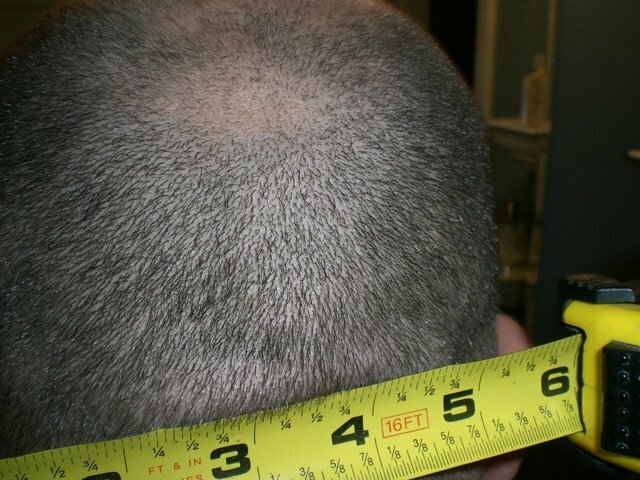 If we say we take 30% per cm2 that is quite aggressive, and would give you a total to harvest with FUE around 2500; and with little to nothing left unless you wanted to increase the % removed per cm2 and by doing so leave the donor open. well I hope this helps from our perspective. Thank you for the response. Very informative. I also noticed the sides above/behind the ear are not as thick. There is also more gray hair here. Is this something abnormal? » Thank you for the response. Very informative. » also more gray hair here. Is this something abnormal? Have you ever considered shaving all your hair off,and having a shaved head look,you might be surprised,a bit shocking at first,but once you get it tanned,so it all matches,it can look good.The shape of your head looks right. I shave my hair every day,I feel better that way.I just hated seeing my thinning hair.Then hopefully one day HM will happen - BIG MAYBE! (Sorry dreamers over at HM board,I’ve given up dreaming,haha). I tried that, it doesn’t look good on me. The problem is my forehead. It comes to a peak and looks large IMO. I do keep it buzzed pretty short though. I use a clipper with no guard once a week. These pics are about 1 week grown out. Below is a shot from the top. As you can see I have a lot to cover. I assumed I could only achieve this with head and body hair, and in the US, Dr. Umar has had great success with body hair. So I contacted him, however he doesn’t seem interested in my case. » he doesn’t seem interested in my case. Your photos do not look familiar to me. Send me an email at drumar@dermhairclinic.com and identify yourself in the process. I respond to all emails received. Sometimes immediately and at other times within the week. If you do not get a response after 1 week, then it is likely your email did not get through. I am involved 100% with patient care and I am unable to answer phone calls to my office since such calls invariably come in when I am in surgery. If you are on the table, I think you would appreciate that. It is a trade off for not involving 3rd parties in my consultation process. I perform all consultations personally. For that reason free online consultations (via my website) or in -office consultations are the best way to go. I respond to all my emails and online consultation unless I feel that a consultation is completed. Sometimes, our email carier stumbles, and messages get missed in the process. Again, kindly send another email, hopefully we would do better this time around.